The Digital Plus Multi-Memory features an increased bandwidth for better clarity through the entire frequency range over the Digital Advantage and Digital Basic models. It also features a programmable circuit board that allows for the same capabilities as the Digital Basic – tri-mode noise reductions, feedback reduction and enhanced speech abilities. The main difference between the programmable Digital Basic and the programmable Digital Plus Multi-Memory is that we have further control to enhance specific frequency ranges. This fine tunes the circuit to provide better vocal benefits for a hard of hearing individual, better pitch and tone adjustment for game call users and an increase to fidelity for more definition of environmental sounds. Unlike ordinary impression silicone Insta-Mold® stronger and more durable than other silicone impression material. The vast majority of adult users report an average lifetime of 3-4 years per set of Insta-Mold® earplugs. The Insta-Mold® are a custom made product. The Insta-Mold® Headphone Solid Earplugs of earplugs is the most advanced instant silicone product line available to the hearing industry. 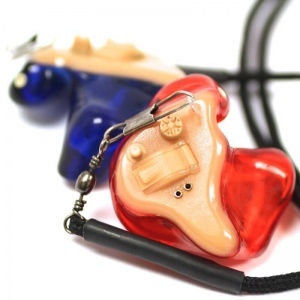 Insta-Mold® are custom-fit earplugs made on-the-spot by an E.A.R., Inc. Authorized Providers. Unlike ordinary impression silicone, Insta-Mold® is stronger and more durable than other silicone impression material. The vast majority of adult users report an average lifetime of 3-4 years per set of Insta-Mold® earplugs. 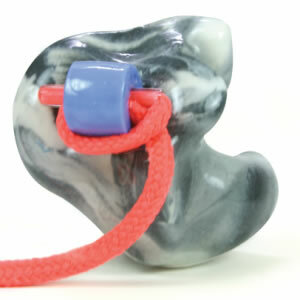 The Insta-Mold® On-The-Spot Music Monitor Earplugs is a custom made product. 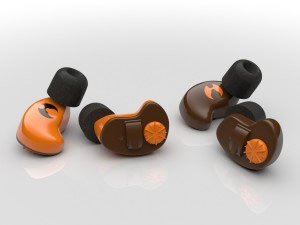 Our Insta-Mold® On-The-Spot Music Monitor Earplugs are a high-definition sports monitors specifically designed to block out loud background noise such as wind, engine motors or crowds while still be able to listen to high definition acoustics. So no more boring long rides, they can easily be worn under a helmet with unbelievable comfort. They come with a one year warranty. The Insta-Mold®is the most advanced instant silicone product line available to the hearing industry. 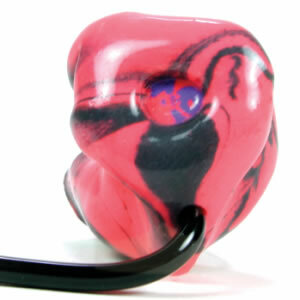 Insta-Mold® earplugs are custom-fit, made on-the-spot from one of our E.A.R. Authorized Providers. The SHOTHUNT™ STANDARD is a small convenient digital electronic hearing protector, used primarily within the firearm sports. It's discrete and will not interfere with shooting glasses, hats or headwear, or active target shooting movements. Automatically dampens harmful sounds that exceed 82 dB ensuring outstanding protection against acoustic shock such as gunshots and prolonged noises. NNR 32. Water-repellent electronic components featuring P2i Aridion nano-technology, guaranteeing superior protection against water, moisture, sweat and corrosion.